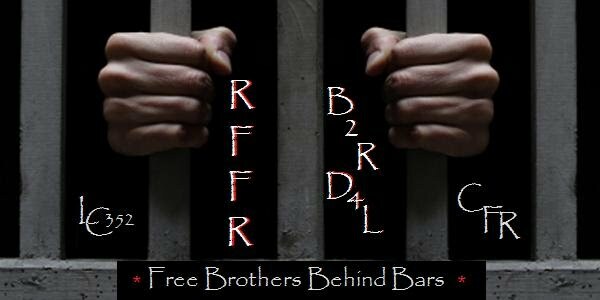 Welcome to the Brothers Behind Bars support page. 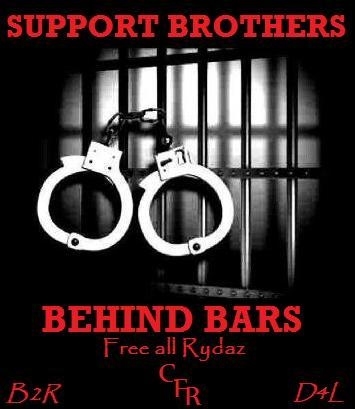 Our goal is to support our brothers in jail. Some of our brothers, asscoiates, and supporters are locked up and sentenced by their own admission of guilt. Any support is greatly appreciated. You can correspond to our brothers and make their time a little easier. Please be patient as we are trying to keep updating our site daily with names, addresses, and pictures of our brothers behind bars. Free all Rydaz! The Central Florida Rydaz is a Family oriented Club and does not encourage or condone illegal activities, However sometimes our personal egos, or lifestyles get in the way. Maybe wrong place wrong time. Either way, Members have been incarcerated and most have been released. To save Law Enforcement the trouble previous arrest records are included but you need to look the charges up yourself. For currently incarcerated, feel free to send a letter of encouragement to help them through their time in prison/jail. All information here is Public Record. was incarcerated at the time of the Club Launch. Friend of the LC Family from back in the crew days, now sentanced to 6 years and 9 years probation.